If you need indoor delivery for this 430 lb safe, please call 1-877-442-9964. There is an extra charge. 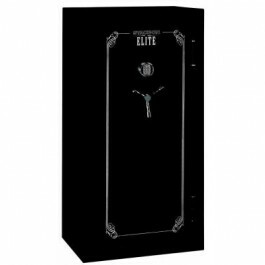 Get top quality with this Stack-On 24 gun safe. Seven live locking bolts, 3 dead bolts, steel plate behind the lock and reinforced door all make break-in or drill attack virtually impossible. The Stack-On 24 gun safes comes prepared to be bolted to the floor. Bolt down is one of the best deterrents against burglary. The adjustable interior allows you to configure your gun safe to meet your particular needs. With ETL fire rating as well, you can't go wrong!